Sport puts people in motion, improves physical and mental well-being, supports togetherness and mobility, strengthens the self-esteem and is also a lot of fun. The love of sports connects people regardless of age, gender, culture, religion, or their level of mobility. The Tenerife Top Training celebrates sports and it is very important to us that all visitors feel comfortable! 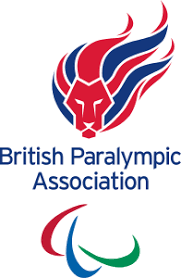 this includes the aspiration to enable the self-determined, equal participation of people with and without disabilities in and through sport. Sport, exercises and games are particularly suited to promote the interacting acquaintance and of people with and without disabilities, to anchor the idea of ​​equal, self-determined participation in consciousness and to strengthen people with disabilities in our society. Therefore, our facility is nearly 100% barrier-free for wheelchair users and customers with restricted mobility. We offer a disabled parking space with a lowered curb right in front of the entrance to the building and two more in our official customer parking lot. The reception entrance has level flooring and is easily accessible through a permanently open wide door. The reception has a lowered area in front of the service counter. Access to the entrance area to the various sports facilities is ensured by an automatically opening door. The majority of all entrances are easy to walk or wheel through. Access to all swimming pools for example is stepless, as is access to our gyms, football fields, tennis court and two paddle fields. 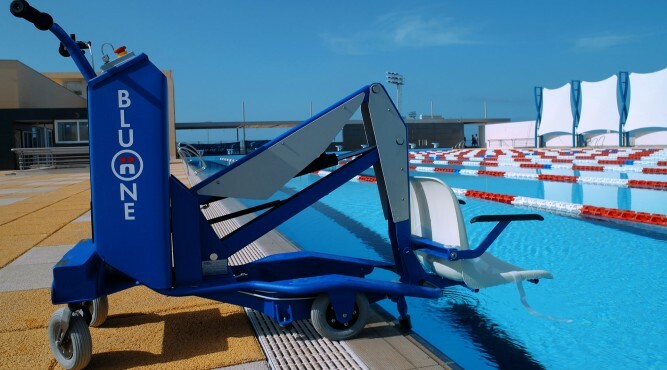 We are happy to assist you with a mobile passenger lift, which makes it easier for you to enter our swimming pools, on request. Our showers and sanitary facilities are of course also barrier-free. A rental wheelchair is available on request. 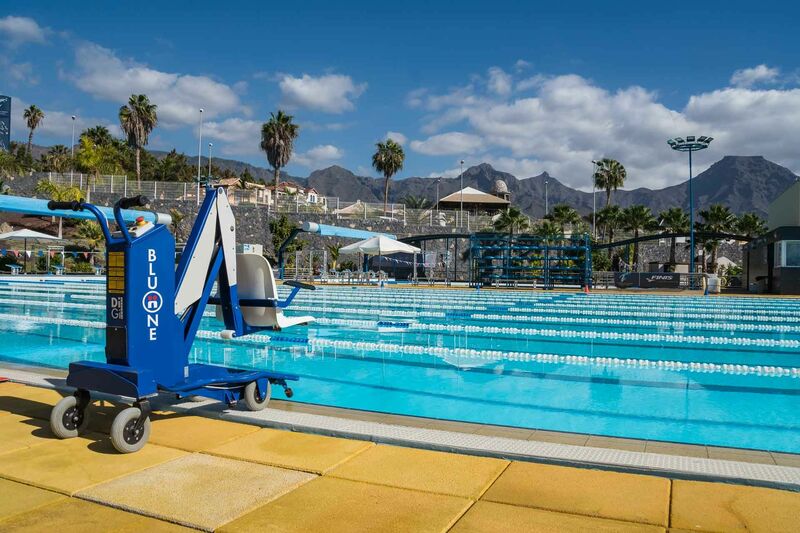 Comprehensive care during training camp is a matter of course for the Tenerife Top Training. A transfer service from the airport to the hotel, as well as to the training center can be organized on request. We can also provide you with rental cars and organize excursions on request. One of our partner hotels “Hovima Jardín Caleta” is just 1.2 km down a sloping road from the T3 and offers sports-specific food and 4 accessible rooms. Free-to-use massage rooms are also available. For rehabilitation measures, physiotherapeutic treatments and the use of the countercurrent channel are available. In addition, it is possible to book a diving course, specifically adapted to the needs of customers with physical or mental impairments. 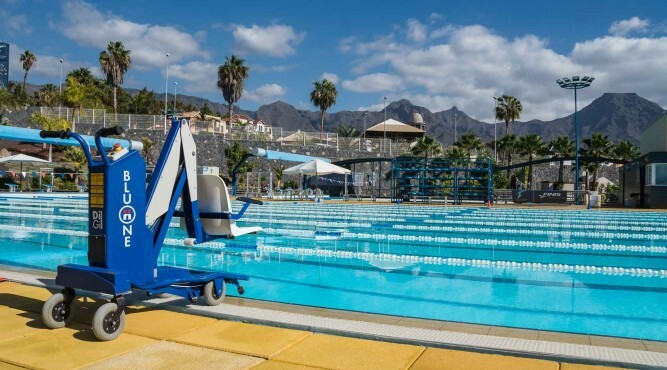 The Tenerife Top Training also hosts parasports competitions such as the Open Tenerfie Fundacion Disa. 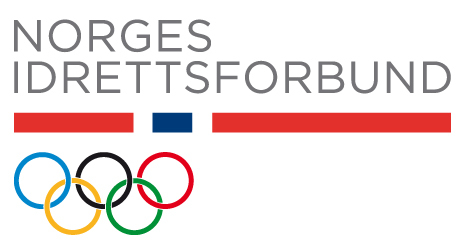 Numerous athletes with disabilities were already at the T3, including numerous Paralympic swimming teams, for example from Finland, Russia, Spain, Mexico, as well as numerous athletes from other sports such as judo, sitting volleyball and athletics. 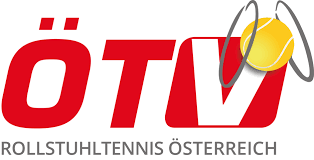 Wheelchair tennis player Nico Langham and Martin Legner talk about their training in our blog entry and Mexican Paralympic and World Champion Ángeles Ortiz talks about her athletic career and her preparations for the 2016 Rio Olympics.